Syringa Customer Forum - Updates and Information About Syringa | Syringa Inc. This blog will be an excellent forum for the sharing of information, whether it be health and nutrition tips, product usage tips, or even product testimonials. We’d love to hear from our customers, and we encourage them to share their experiences with others. Incorporated in 1993, Syringa has been providing customers with high quality skin care and nutritional products at affordable prices, for over twenty years. In 1994 Syringa introduced Resolve Wild Yam Cream, which quickly became the product for which we are the most well known. 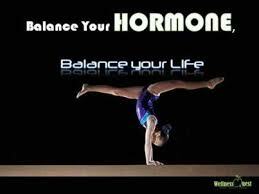 This product embodies Syringa’s motto “Helping the Body Help Itself.” Resolve does not contain any type of synthetic hormones, it simply provides women with the nutritional building blockstheir bodies need to manufacture progesterone and alleviate the symptoms of hormonal imbalance.